It's great to have fitness and food resources at your finger tips so when Fitness First asked whether I would like a one-on-one Q&A with their Nutritionist, I said yes please. Let me introduce you to the lovely Kathy Widjaja, Personal Trainer at Fitness First and Holistic Lifestyle Coach at Aequilibrium Holistic Health. 1. Many eating fads or popular/celebrity diets focus on eliminating a whole food group - e.g. no fat, no carbs, no meat or no sugar etc. Is there much of a scientific basis to the benefits or detriments of this type of radical change to someone's diet? Eliminating an entire macronutrient is never a good idea. The human body needs both fat and protein to build cells (remember that our bodies are making a million cells a second!) and carbohydrates for physical and mental energy. Depriving our bodies of an entire macronutrient will essentially mean that some of our basic functions would not be able to be carried out properly – which is likely to lead to lethargy, mood swings, brain fog and other symptoms. What is important to remember that everyone is bio-individually unique – meaning that the proportion of fat, protein and carbohydrates in your diet are unique to you. Trial and error, as well as getting to know your body well are the best ways to figure out what foods will work well for you. 2. We all know that junk food should not be a diet staple, but what tips do you have for beating sugar or salt cravings when transitioning away from unhealthy foods. My top tip is always to crowd bad foods out. We often try to take out all the “bad” things from our diet all at once, leaving holes in our eating plan which we are likely to fill with more “bad” things because our cravings are unsatisfied and we are also hungry! The concept of “crowding out” essentially means adding more good stuff into your diet so that your body is more nutritionally satisfied, which will hopefully lessen the need to lean towards junk food. For example, if you are used to eating something sugary from breakfast, why not try to have a piece of fruit first, and less than your normal portion of the sugary item? You will already be making inroads into curbing your cravings without actually depriving yourself. You can then slowly take steps into curbing these cravings completely. It is also a good idea to speak to a health coach about why you are getting these cravings in the first place – many cravings can also be a result of the lack of nutrients, emotional instability, the lack of water or an imbalance in your existing diet. 3. Should someone need to take vitamins or other nutritional supplements when undertaking a reduced calorie eating program? Even whilst on a reduced calorie eating program, you should always aim to be eating lots of fresh and unprocessed food. 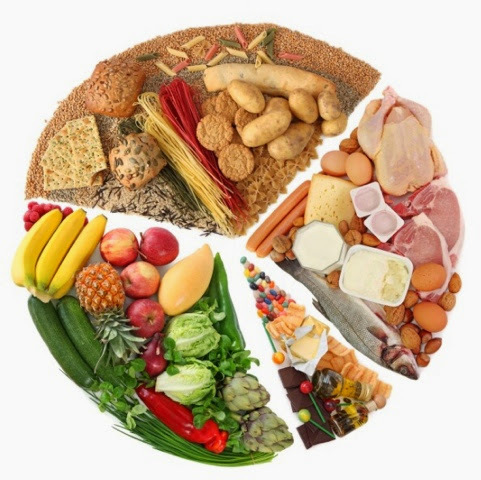 Aim for variety and quality in your diet and this in itself will guarantee that you are getting the majority of the essential vitamins and minerals that your body requires for optimal function. A good multivitamin is usually a good bang for your buck if you lead an especially demanding lifestyle and I normally start incorporating superfoods into my client’s diets as well as an extra way to quickly boost their nutritional power and energy levels without an excessive calorie load! 4. Is the traditional food pyramid still considered to be the way we should be eating ... or have there been changes to the recommendations? The traditional food pyramid is definitely still in existence and is still commonly referred to. It is important to note, however, that the traditional food pyramid is very generalised in terms of fat, protein and carbohydrate make-up of a diet and may not be the right fit for you. The most important thing to remember is to try to eat as much fresh and unprocessed food as possible, and always buy the best quality produce and animal products that you can afford. 5. It’s often been said that weight management is 80% diet related and 20% exercise related. Is it possible to change that balance? If one of these factors had to be singled out, diet would still probably prevail as the more important factor because we are essentially taking external items and putting them into our body. 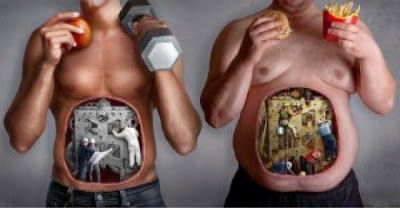 What we put into our bodies ultimately determines how our body functions and what we are able to output. The food that we put into our bodies is externally reflected in our energy levels, or skin and hair, the brightness of our eyes, and our general performance. In saying that however, exercise is also important because most of us don’t get enough movement throughout the day. Our bodies were designed to move! The most important thing is to keep our body moving – weight management is not all about pushing out hours on the treadmill each week, but more about being consistent in your exercise and doing something that you enjoy so that it easily integrates into your lifestyle for the long term. What challenges do you face when embarking a new eating lifetyle? Did you find this Q&A helpful and would you like to see more of these posts? Kathy Widjaja, Personal Trainer at Fitness First and Holistic Lifestyle Coach at Aequilibrium Holistic Health. Come check out her www.facebook.com/aequilibriumholistichealth page if you need further clarifications with the above questions or you can contact her directly on 0402 199 983.